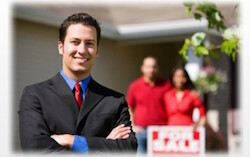 Do the Buyer or Seller Need to be at the Closing? As for the seller goes, they actually are not required to be present at the closing. They can sign what’s called a ‘power of attorney’, and their attorney can actually sign documents on their behalf in their absence. As to where the closing takes place, that’s really dependent on every individual scenario. It will actually state in the contract where the closing should take place, so that really does depend on a case by case basis.